IMHO far the most interesting ship I came across yesterday was the Iranina SNOW, launched in 2012 as Souvenir, she then followd the recent Iranian tradition of changing her name about every year, Snow being her third trading name. Now that the embargoes are finally over, until a certain idiot will decide otherwise, the ships now generally come out of their secretive trade and storage duties. She arrived last sunday to discharge at MOT and I found er early morning yesterday (03/07) at the dolphins in the Caland Canal. David, as far I have observed the fully discharged ships leave the port on a light draft, to carry out tank washing at sea, return to the loading berth, discharge the slops and take on a full load. 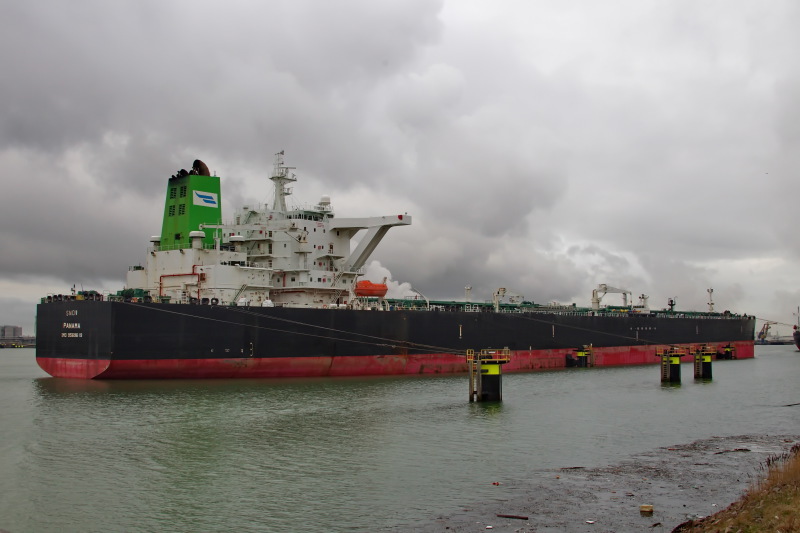 We now have Zourva in the 7th Petroleum Dock. 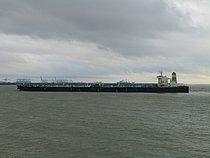 Recently the Samail discharged at MOT, moved out to sea, came back to the 7th Petroleum Dock, moved again to the 8th (BP Refinery), and then came came back in the Caland Canal. 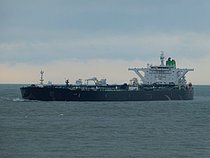 Most VLCC's will pick up their cargo from different jetties, may be they carry different grades of crude oil, or part of the cargo could be fuel oil too. Why this one offloaded just a part cargo and then filled up again is beyond me, but there may still be some intricacies dealing with Iranian oil. Is it the practice to take in ballast water during unloading to maintain draft, and v/v on loading? Kharg Island Oil Terminal from 11 Nov 2016 for 51 days, then arrived Falmouth Harbour for 2 hours on 12 Feb 2017, Rotterdam 5th - 22nd March, arrived Singapore 19th June 2017. 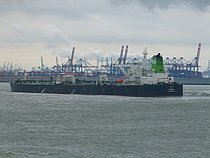 Any idea if this ship discharged, according to her AIS her draught changed by 3m- does that sound realistic for a discharge for a vessel this size?